Greenbriar Picture Shows: Should Andy Hardy Have Come Home? Should Andy Hardy Have Come Home? Andy Grows Up, But Did 1958 Care? Twelve years had passed since a last Andy Hardy, though change-wise, that may as well have been a last century. Teens would not remember him from theatres (none reissued), though plenty by summer '58 knew the character from TV run-off of MGM Pre-48 Greats, a package going on its second syndicated year when this reprise came out. What gave birth to Andy Hardy Comes Home was curiosity borne of home viewing the oldies, and off-chance that Metro could pull out of tar pit that was (lack of) 50's biz and make the Hardys viable again. To that came willingness of Mickey Rooney and "personal manager" Red Doff to do this one cheap ($307K negative cost) and surely realize profit for so little spent. Mick's payday? $35,000, according to biographer Arthur Marx, this a bargain for Metro, as Rooney contributed gags and bits as had been prerogative in 30/40's glory days of the series. MGM had negotiated with Rooney and Doff the previous year for a possible vid series, or for Rooney to direct features, a deal stalled until the Hardy idea juiced interest. Major help was Mick lately scoring in a Playhouse 90, where he earned critic claps as a hateful TV comic. 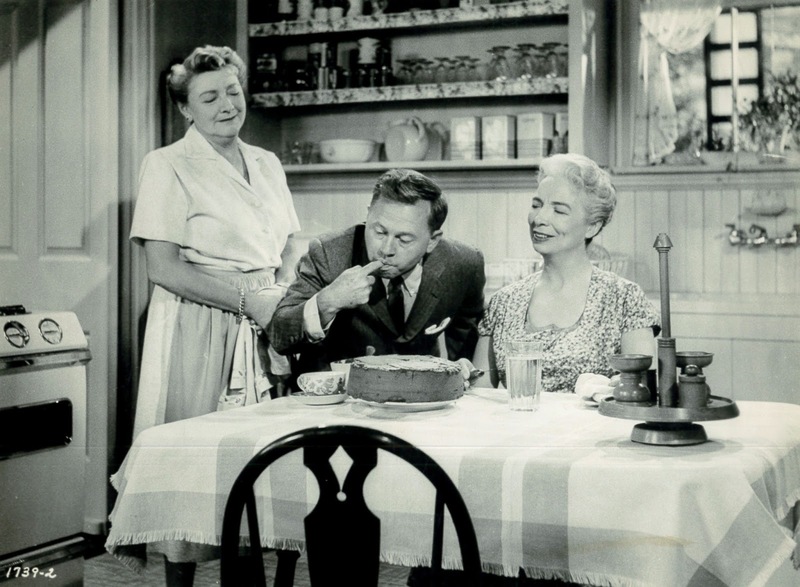 The Hardy deal was inked in January 1958, Rooney to star, Doff to produce. It was hoped that cast regulars, minus deceased Lewis Stone, would come aboard, as well as walk-ons by Hardy g.f.'s gone since to picture fame: Judy Garland, Lana Turner, Esther Williams. Exploitation grass looked green for this reunion, but came dawn of wish list femmes unwilling to cameo, and even Mother Hardy (Fay Holden) wanting high tariff to come out of semi-retirement. 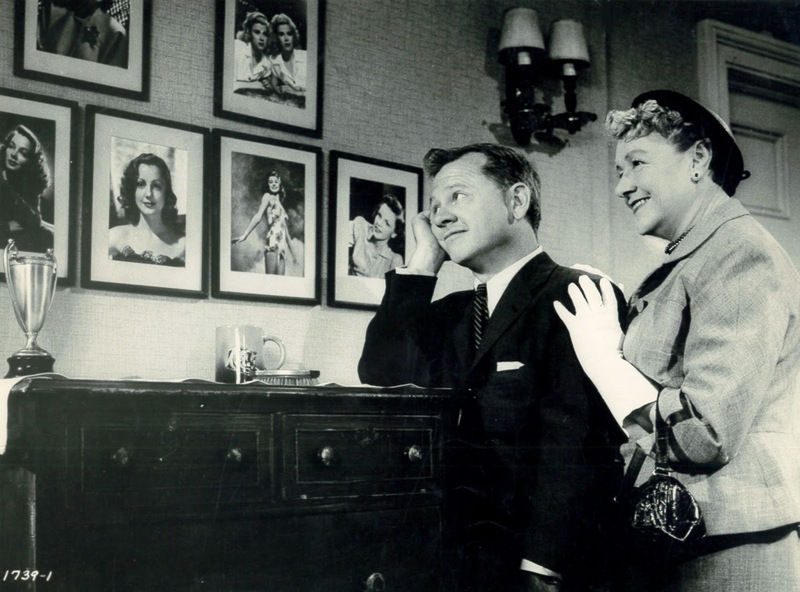 Early scripting (as Andy Hardy Grows Up) contemplated Polly Benedict as wife to Andy, but even here was stoppage, as Ann Rutherford was $ecure married (to producer William Dozier) and in no particular need for cash. Could Andy survive a pinch-hit wife and mother? Metro proceeded on basis he could, feelers put out to Spring Byington in case Holden stayed intractable (part of the deal: Rooney guesting on Byington's series December Bride), and Patricia Breslin subbing for Rutherford, Breslin a Metro exec girlfriend who couldn't act, said director Howard Koch, him expected by brass to smooth her out. 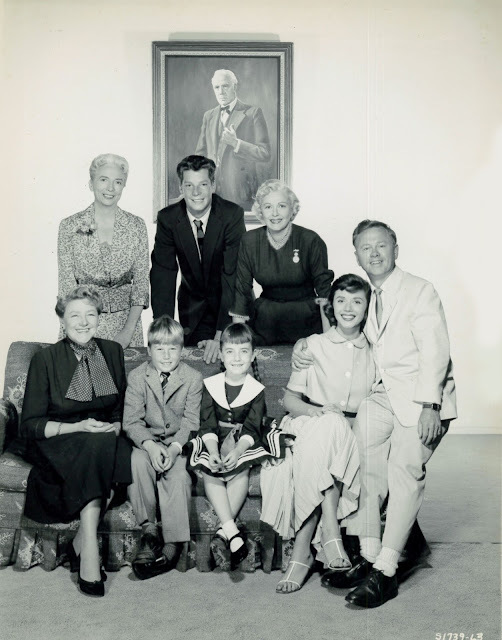 Mickey meantime talked ex-spouse Martha Vickers into letting their son Teddy play Andy Jr. for the pic, this to be major slant of publicity. There were also Vegas dates Mick would fill at the Riviera Hotel, these to buttress quick shoot (12 days) of Andy Hardy Comes Home. By May and production, there was meeting of minds w/ Fay Holden, plus series regulars Cecilia Parker and Sara Haden, but whose idea was it to put Jerry Colonna behind Carvel's soda fountain, as if he'd been there all along? 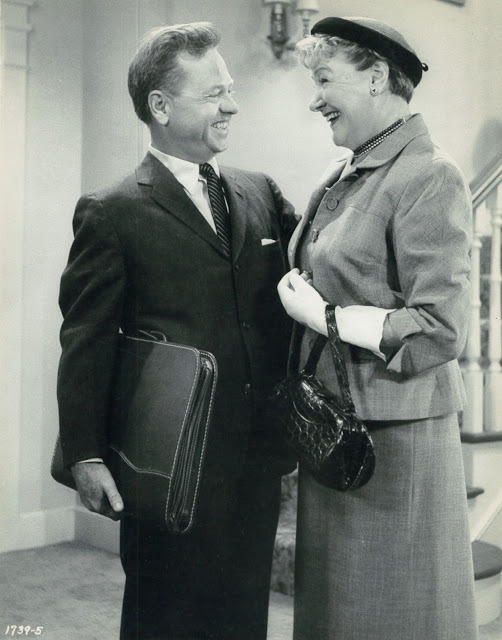 And Andy's best pal "Beezy" was now real-life Rooney chum Joey Forman rather than George P. Breakston, latter having switched to directing since 40's essays of the character. A hung portrait of Judge Hardy would stand in for absent Lewis Stone and serve as guiding spirit to Andy (and backdrop for his "man-to-man" talk with offspring Teddy). Need for speed was increased when an "exhibitor's poll" resulted in opener dates moved up to mid-summer, Andy Hardy Comes Home figured to plug holes in Leo's hot weather lineup. 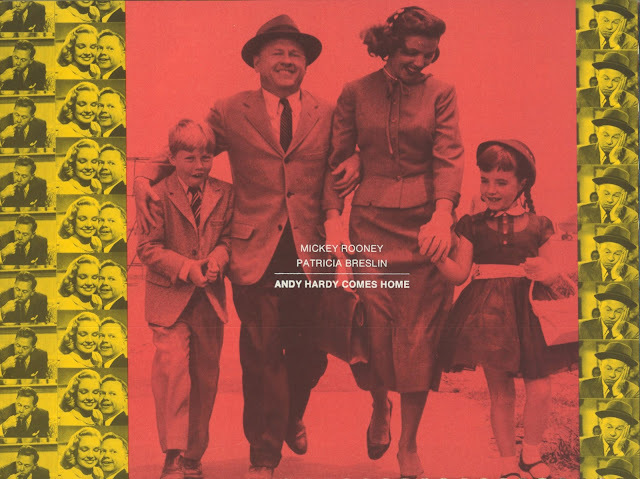 Rooney teamed with songwriter-since-the-30's Harold Spina for three numbers to be heard in Andy Hardy Comes Home, each keyed to teen listeners, one tune, Lazy Summer Nights, pushed toward Hit Parade placement via 45 RPM by the Four Preps. Kids beyond Mickey's own were cast to widen youth appeal, mile-tall Johnny Weissmuller Jr. as an AH nephew and locus for contrast gags between himself and diminutive Mick. Teddy Rooney took a bow on Ed Sullivan's 7/27/58 broadcast, this a cinch to heighten awareness, along with 10,000 "giant" and full-color postcards Metro mailed in advance of July playoff. Trade ads (Dig That Goldmine!) touted tens of millions that previous Hardys had earned, with assurance that Comes Home would be as boffo. Reviews were perhaps kinder than Andy Hardy Comes Home deserved, the pic "disappointing" (Variety) in virtually all of keys, where it rode double with likes of The Badlanders, Tarzan's Fight For Life, and whatever else Metro couldn't sell singly. One Pittsburgh exhib had the "odd" experience of refund demand from patrons complaining that they'd come to see revival of an old Hardy film, and had no interest in the character updated to 1958. Rooney reunion went down in comparative flames, Andy Hardy Comes Home earning but $412K in domestic rentals, with $216K foreign, numbers low even by blighted standard of 1958 (Mick in hindsight: "The public simply didn't care what had happened to Andy Hardy"). 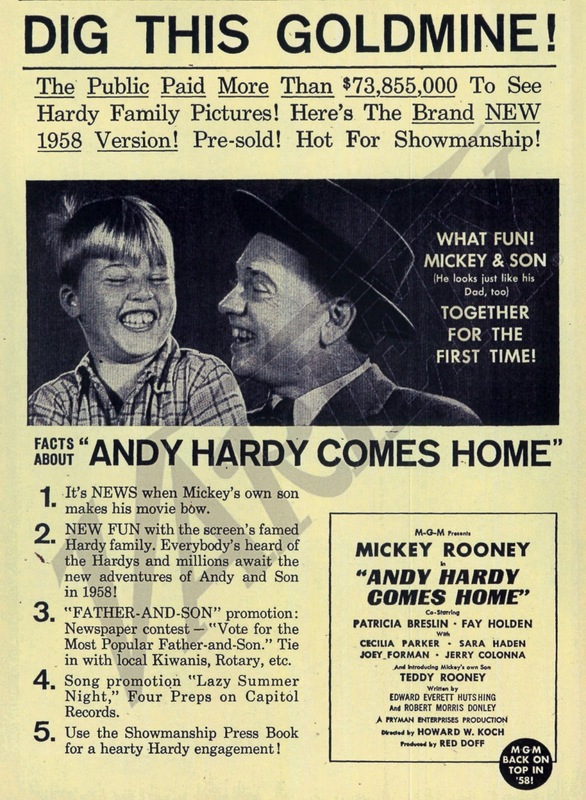 A "40 for '64" saw first syndication exposure for Andy Hardy Comes Home, offered with 39 other post-48 Metros for the 1964 TV season. TCM has lately dusted AHCH with a widescreen transfer in HD, good on one hand, but also cruel reveal of a show shot cheap and hurried. By all means, see it anyway, for mirror of Metro in decline if not re-acquaint with Carvel crowd. At least one old girlfriend should have been hauled in for a moving violation. Saw this on WGHP-TV one weekday afternoon in the Sixties. If I remember correctly, the Kellogg's and Slinky commercials were more entertaining. I was never a fan of the Hardy series but caught this out of curiosity. When the end credits rolled I was surprised to find this was MGM --- it looked like an indie Rooney might have done for Allied Artists or the like. Did anyone ever try to package the Hardy movies together for television? Shirley Temple, Abbott & Costello, Sherlock Holmes and various cowboys held regular slots on local channels in my youth, and of course the Universal monsters staked out weekend nights nationwide. 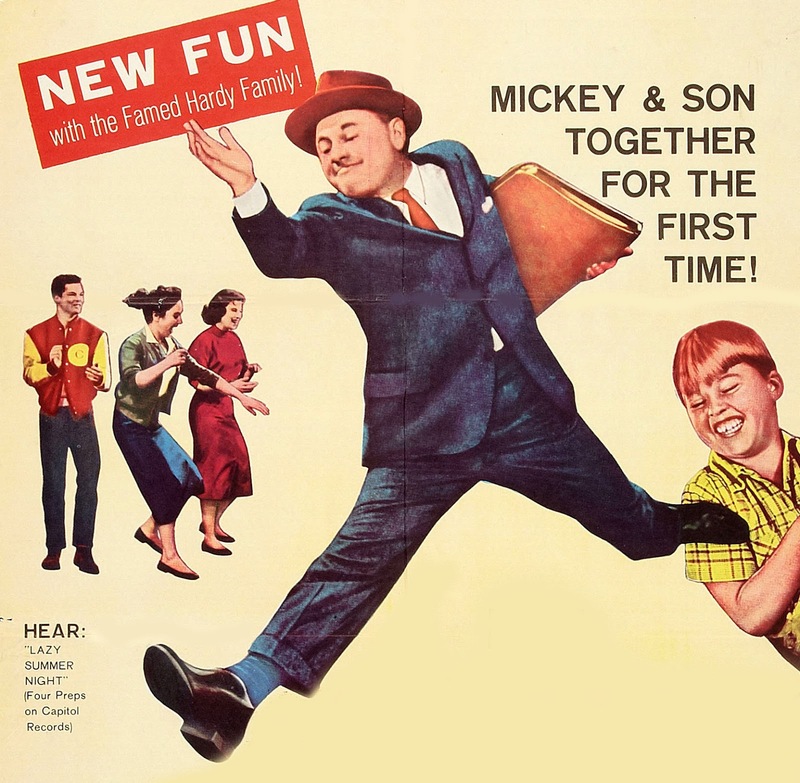 During the conservative 50s, it seems a natural idea to draw audiences that were flocking to Disney live action movies. Donald, I checked into the Andy Hardy package question, and found that United Artists did make available a group of fifteen titles after they took over the MGM library in the late 70's. The Hardys as a separate package appear to have first been syndicated in 1978. Howard Koch's slam on Patricia Breslin should be taken with a grain of salt. He makes her sound like some dolly scooped up from the steno pool but, in fact, her credits before and after AHCH were more than respectable. Her acting career is at least if not more impressive than Koch's director's gigs. Interesting that Ann Rutherford passed up this one up, but at about the same time make a couple of TV appearances with her other regular MGM co-star, Red Skelton. Haven't thought of Patricia Breslin in a while. But after reading Mr. Koch's diss of her, I feel I must come to her defense. In the 50's I regularly watched the TV series "The People's Choice" (she was Jackie Cooper's leading lady in it). I was just a kid but I still recall her lovely speaking voice (and face). The lady most definitely could act - with loads of skill and lots of charm. An appealing talent on every level - maybe along the lines of Phyllis Kirk. 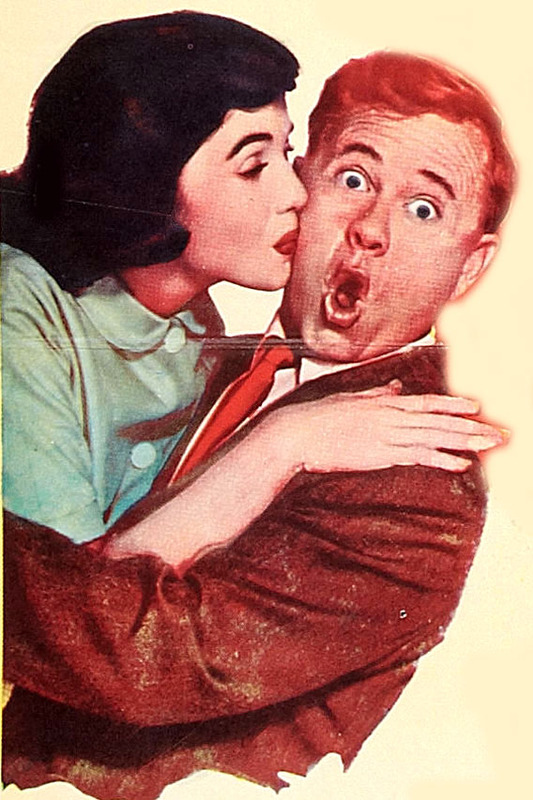 The producers of this ill-advised attempt to resurrect Andy Hardy, a character nobody missed, were lucky to get her. Just remembered Patricia Breslin starred with Shatner in one of our all time favorite TWILIGHT ZONES, 'Nick of Time. 'Among the cartoon nick-knacks displayed for years on a plate rack in our dining room: a novelty devil's head identical to the one used in that episode. I have always enjoyed Patricia Breslin's work. She did a couple TV PERRY MASONs. MGM broke out a package consisting of the Hardy, Kildare and Maisie films when it starting distributing pre-48 titles to TV in 1957. They were available at original length or edited for one-hour time slots. There was resistance in some markets. WCBS-TV in New York, which had licensed pretty much the entire MGM catalogue, took a pass and the Hardys did not turn up in this market until WNBC (along with the Kildares) began showing them in 1967 -- several years after "Andy Hardy Came Home'' turned up in a post-48 package bought in WCBS.